Want to know what’s new in the marketplace for coatings contractors? Want to stay up-to-date on the latest technologies available to you? Want to network with your peers and meet new and reconnect with existing colleagues? 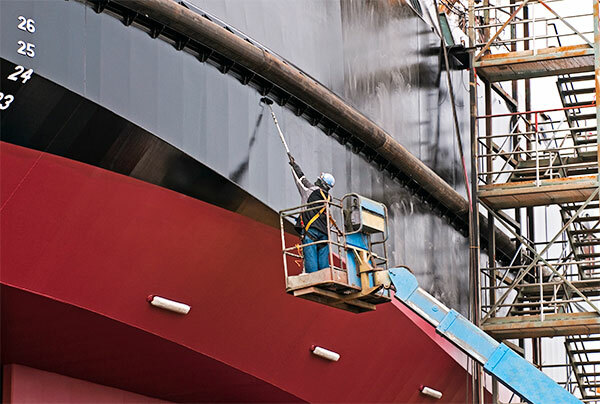 NACE International, CoatingsPro Magazine, and INSPECTThis are excited to announce the first-ever Protective Coatings Workshop at CORROSION 2019. This interactive workshop, designed for those working in or interested in learning more about coatings, will feature presentations from coatings industry leaders, an introduction to new emerging technologies, and highlight the experience plus accomplishments of those currently involved in the coatings field. Network with other contractors, inspectors, suppliers, and instructors from NACE’s Coating Inspector Program. Learn about best practices as well as the new techniques and technologies that are available. Do you need to earn PDHs or CEUs for your job, certification, or professional license renewals? By attending this workshop, you can earn both PDHs and CEUs to help meet your needed requirements. PDHs can be obtained from the PDH Kiosk in the conference registration area or via the CORROSION 2019 website. Those seeking CEUs can complete a short quiz at the completion of the workshop and receive those from NACE Education. Admission into the event is included as a part of a paid Full Conference Registration or a partial conference registration for Tuesday or Wednesday. Registration for the Protective Coatings Workshop does not include conference proceedings or symposia but does include entry to the expo floor. Mark your calendars now to attend! Presented by: Sean Browning and David Hunter, Pond & Co. The Coatings Experience—Open during exhibit hours! NEW for 2019! Join us on the Exhibit Hall floor for The Coatings Experience. This new area will introduce those interested in coatings to the ins and outs of application, surface preparation, inspection plans, and coatings in a fun and interactive way!